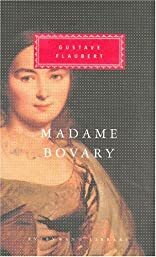 Madame Bovary was written by Gustave Flaubert. Madame Bovary was published by Everyman Publishers. About Gustave Flaubert (Author) : Gustave Flaubert is a published author of children's books and young adult books. Some of the published credits of Gustave Flaubert include Trois Contes, A Simple Soul. About Francis Steegmuller (Translator) : Francis Steegmuller is a published translator. Published credits of Francis Steegmuller include Madame Bovary: Patterns of Provincial Life (Everyman's Library).